"The good God has given them a share in His own Image, that is, in our Lord Jesus Christ, and has made even themselves after the same Image and Likeness. Why? Simply in order that through this gift of God-likeness in themselves they may be able to perceive the Image Absolute, that is the Word Himself, and through Him to apprehend the Father; which knowledge of their Maker is for men the only really happy and blessed life." We are located in Yakima, WA about two hours South East of Seattle and one hour North of St. John the Forerunner Monastery near Goldendale, WA. Our parish extends a warm welcome to our visitors in the area. Click here for directions. We look forward to seeing you. Come and experience the best kept secret in America...an Orthodox Church. Holy Cross is located in the beautiful Yakima Valley, a diverse community, rich in culture and heritage boasting 300 days of sunshine each year. 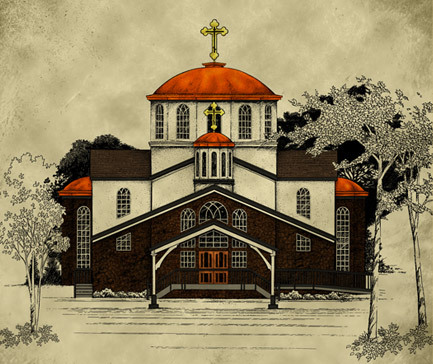 Our parish has been a part of the Orthodox Church since early 1987. Fr. Joseph Copeland is assisted by Fr. Timothy McCoy and three deacons. Learn More About Holy Cross. Holy Cross Orthodox Church is a parish of the Antiochian Orthodox Christian Archdiocese of North America, which is a part of the Patriarchate of Antioch, the city in which the disciples of Jesus Christ were first called “Christians” (Acts 11:26).Our archdiocese is under the care of His Eminence, Metropolitan +JOSEPH who is the Primate of the archdiocese headquartered in Englewood, New Jersey. May God grant him many years!